Do you need some great book ideas for studying early modern history? Here you’ll find a wonderful literature list for early American history and early modern history. There are lots of picture books and even several chapter book choices. 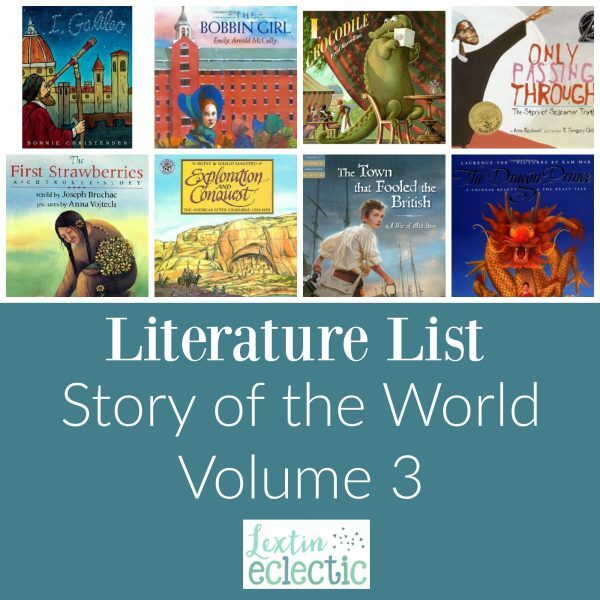 I created this list because we plan to supplement our reading of Story of the World Volume 3 with lots of library books. But there were a few books that I knew we wouldn’t want to miss, so I’m ordering at least one book for each chapter. If we don’t make it to the library one week, I’ll know we have one extra book to enhance our studies. Plus, I wanted to build our home library with some history books! It was difficult to narrow down the choices to only 1 or 2 per chapter but I did it – ok, some might have 3! (And these books are not necessarily the ones recommended in the activity guide, although some are.) These are just the books on my purchase list! Most are picture books that will be read aloud to my 8 and 6 year olds. A few are chapter books for my 8 year old to read on her own. You Wouldn’t Want to Be Mary Queen of Scots! You Wouldn’t Want to be Sick in the 16th Century! This is an excellent list! Thank you so much for sharing it! Thanks! I'm glad you found it helpful! We are having so much fun with the books on this list! It's been a great year for history in our homeschool. I love this list! Do you have one for volume 1? I do not yet have a list for Volume 1. Sorry! I do hope to put one together at some point.